The IT Crowd is a Channel 4 sitcome starring Richard Ayoade, Chris O'Dowd and Katherine Parkinson. If you are a fan of the show, do you have a favourite episode? 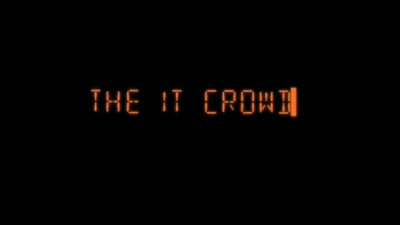 "The IT Crowd title card" by Talkback Thames. Licensed under Public Domain via Wikimedia Commons. I love the one where Moss and Roy convince Jen that they have the internet in a box and she can take it to a seminar to impress her coworkers, then she accidentally breaks it and everybody freaks out. I have not seen it before. That was a good one too. Which is the best fictional bar?